Charminar is to Hyderabad is what Taj Mahal is to Agra – the symbol of the city. 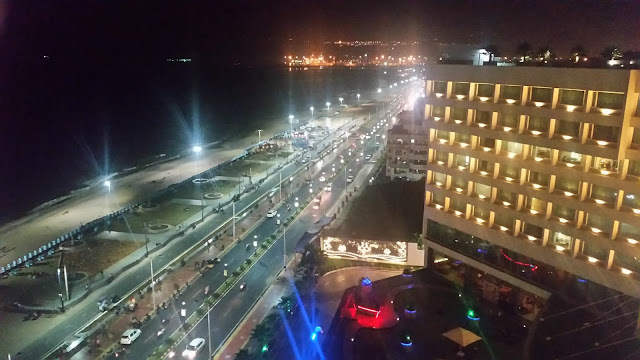 It is also one of the prime shopping areas of Hyderabad – from morning to night, you have a sea of humanity moving around in the roads meshing seamlessly with buses, autos, bikes and cows. 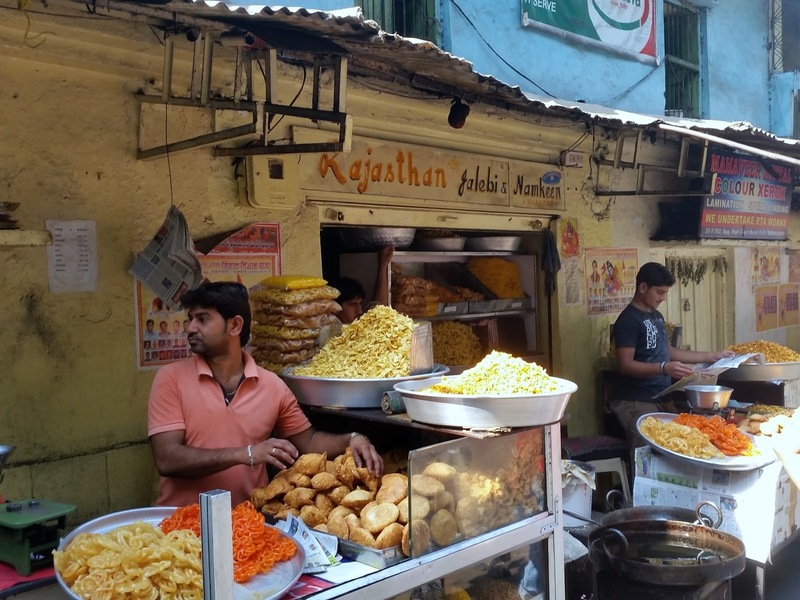 It is but natural that some irresistible street food is available in this area to cater to the huge number of food-loving pedestrians. Places are not far from each other, which makes this an ideal place for a street food walk. 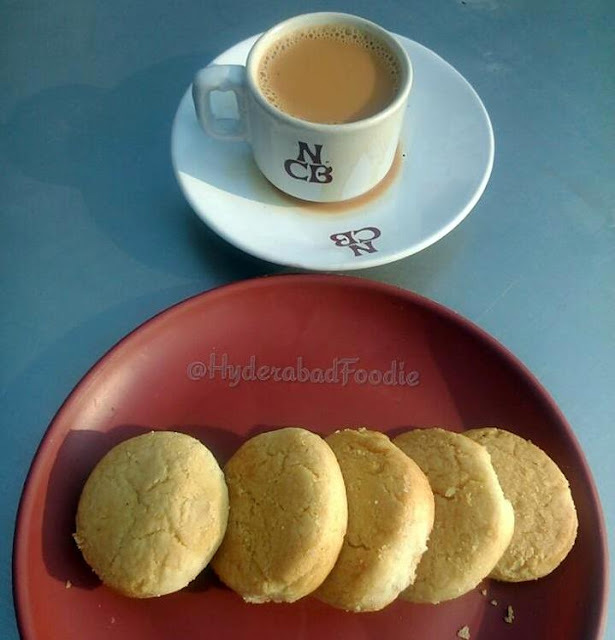 I was told that the guests of Nizam staying at Chowmahalla Palace used to enjoy a cup of tea with Osmania biscuits (another royal legacy named after Nizam Mir Osman Ali Khan) looking at the awesome view of Charminar. 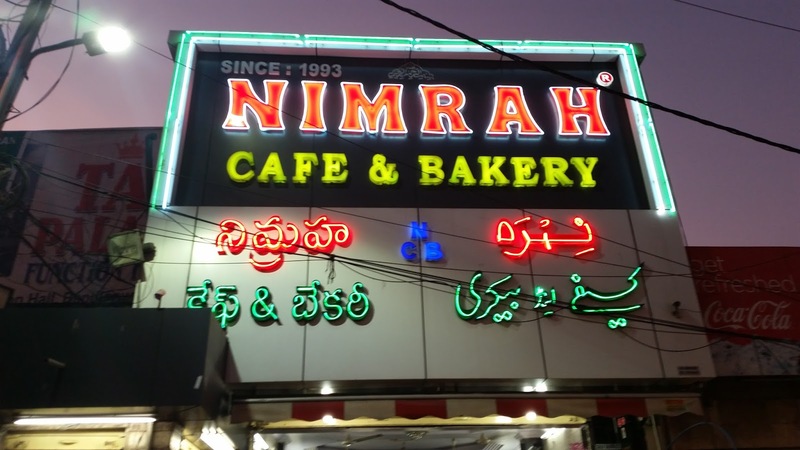 For lesser mortals like us who may not have that opportunity, Nimra Café provides an alternative. Situated right in front of Charminar, next to Mecca Masjid they serve some delicious Osmania biscuits along with Irani tea. Enjoy the majestic view of Charminar from a close range while sipping the tea. Early in the morning, food lovers from across the city head across to Govind’s Bandi close by. 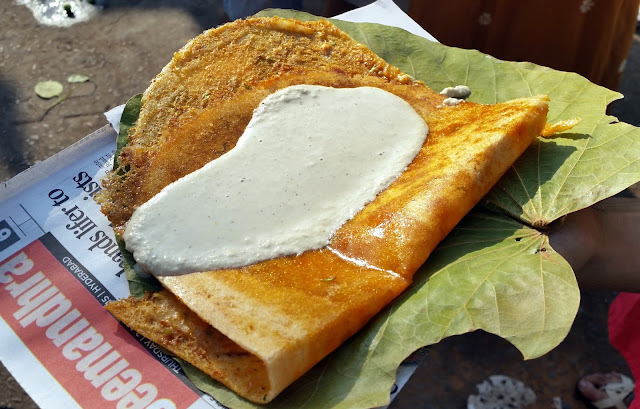 Situated near a Kaman (for non-Hyderabadis: Kaman means the arches built on the road) in a lane next to Gulzar House, Govind serves one of the best butter dosas of Hyderabad. People also gorge on his butter idlis and tawa idlis. Bulk orders come flying in and vary a lot from person to person with demands such as double butter, cheese, or more tomatoes. Your stop here may take some time especially on a Sunday morning. 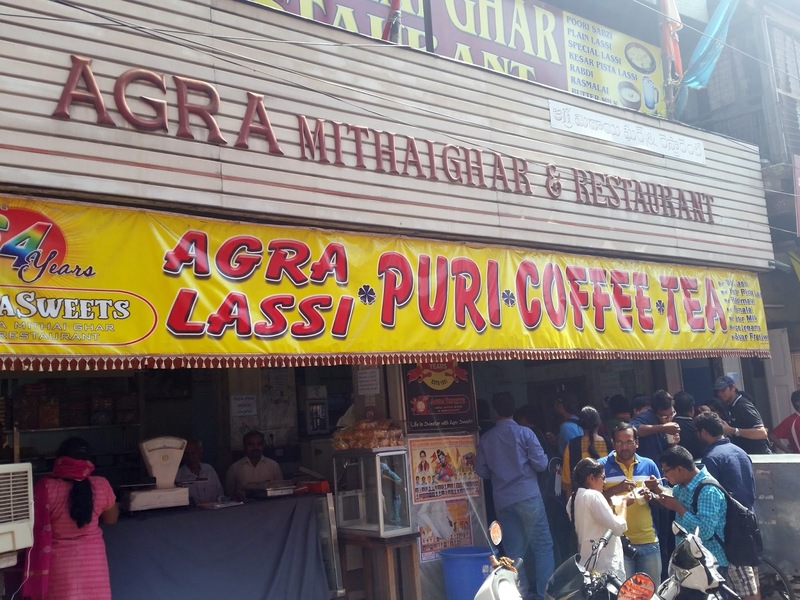 Very close to Govind is Agra Mithai Ghar, which is known for its sweets and lassis. 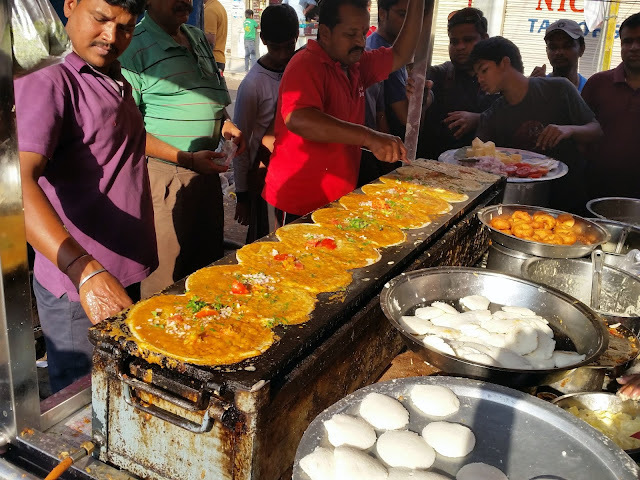 Apart from the sweets they also serve a variety of namkeen items from up North, the Ghee Puri Sabji being the most popular, the puri here is actually fried in ghee. 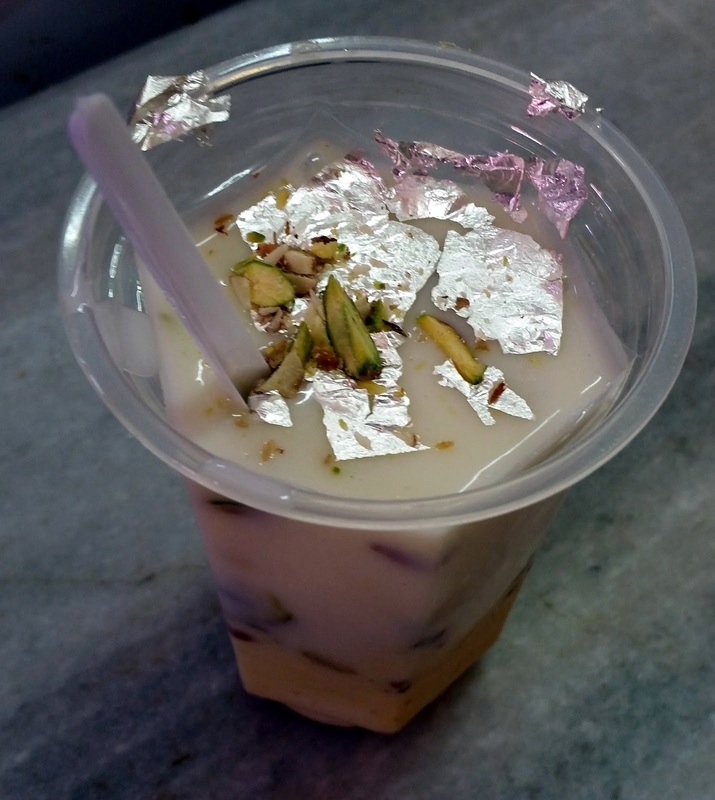 Their Malai and Kesar Pista Lassi are famous in the area. 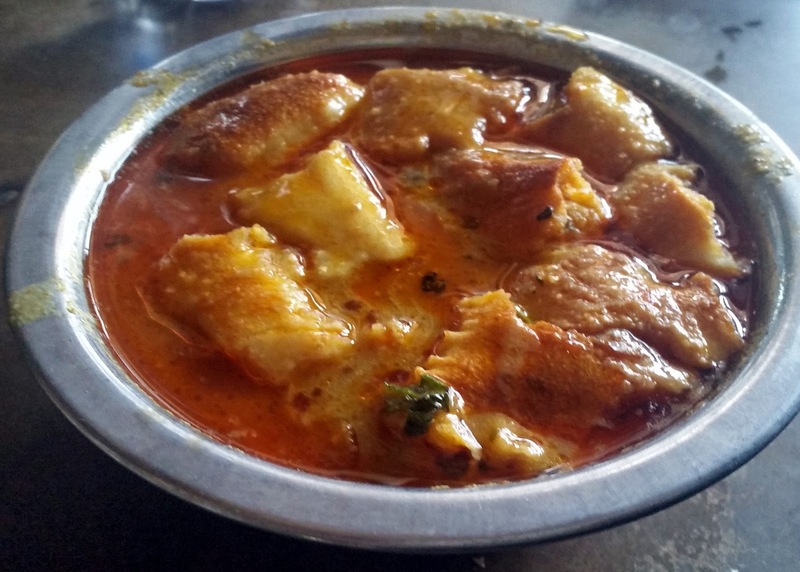 Ravi Bandi opposite Agra Mithai Ghar is not so well known as Govind - but many of the street food enthusiasts swear by his dosas and butter idlis. But for the lassi lovers a better place to visit is Matwale Doodh Ghar ahead of Mecca Masjid close to Pista House. 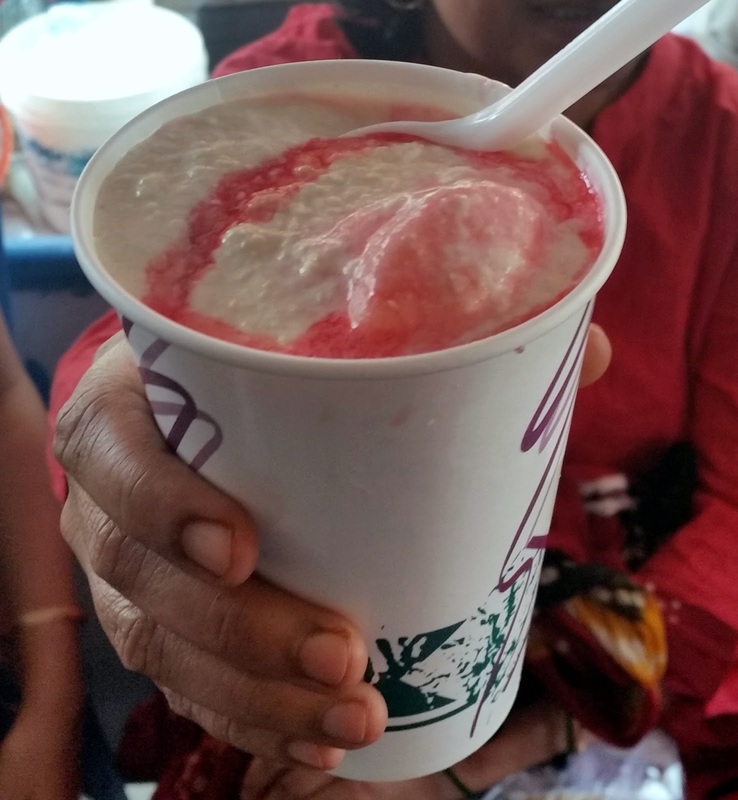 A small shop specializing in milk based items, they are known for their Falooda too. But the special lassi has malai and syrup in it and two large glasses can be a meal in itself. Someone told me that the filmstar Rana Daggubati is a regular at this place. Lined up opposite High Court are three stalls all named Rajasthani Jalebi and Namkins. They excel in making quality kachories and samosas served with an orange coloured chutney and sautéed green chillies. 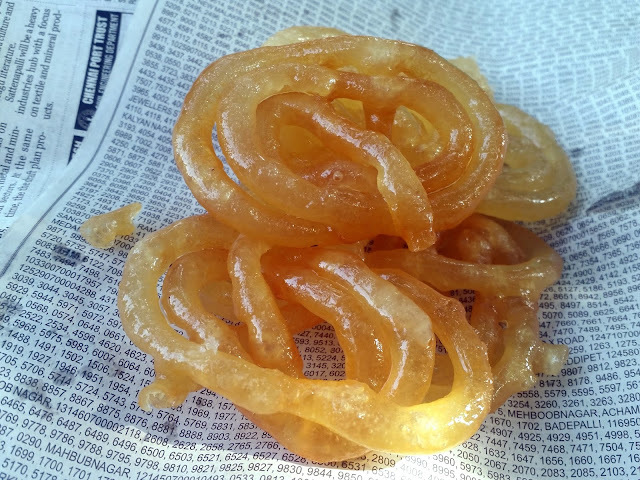 The jalebis and imarties (known as Jahangiris in Hyderabad) are not to be missed too. But how can the street food in this area be only vegetarian! Though an iconic restaurant, Shadab serves one of the best non-vegetarian breakfasts in Hyderabad at street food prices. Their nihari and paya are legendary. For people who want a cheaper fare, they can just have the sherwa. Buy some Hyderabadi sheermal/roti naan from shops nearby and dunk it in the nihari – it will taste heavenly. On Sunday they make chicken nihari. And then there are the signature breakfasts available in an irani café – gurda bhaji and kheema roti. 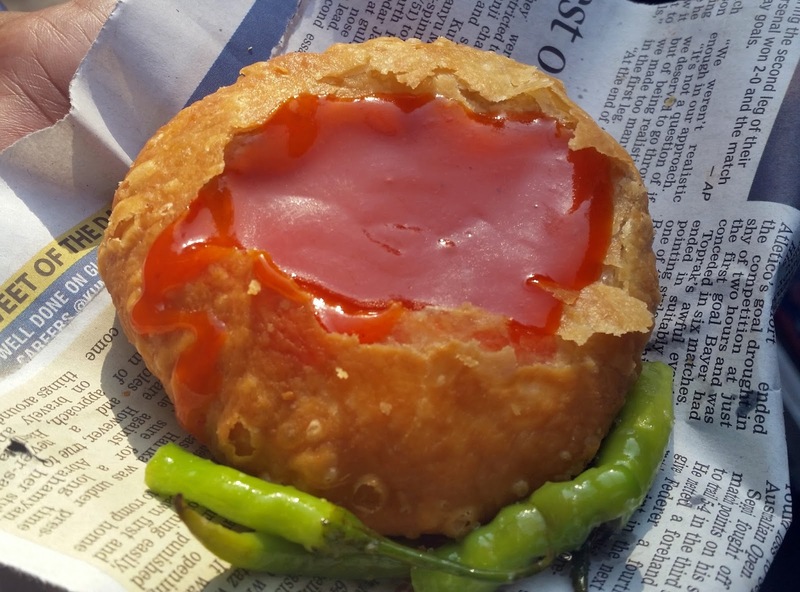 In the evenings, a number of street food stalls open up to sell non-veg snacks. Akbar Food Corner next to Mecca Masjid serves one of the best Chicken 65 in town. The chicken is served with Warqi paratha and a red colored chutney. You have the option of trying it out in the dark dining room or carry a parcel from the parcel counter. 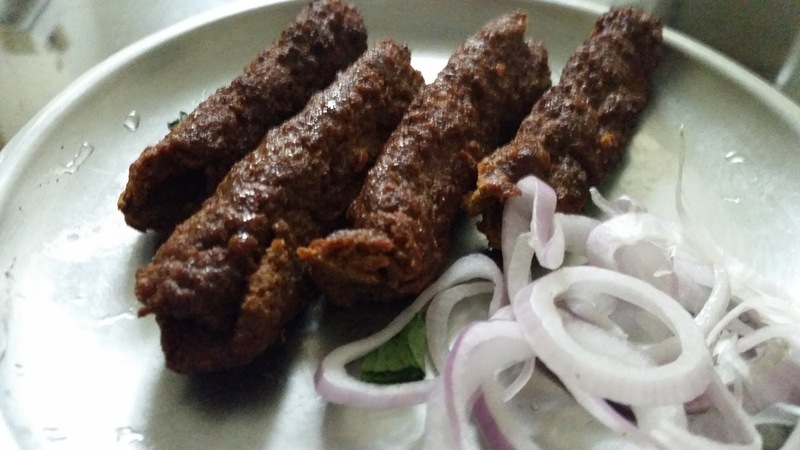 For the best quality beef seekh kababs and boti kababs try Kabab-E-Jahangiri centre near Machli Kaman, which is between Madina and Gulzar House. Here again try the warqi parathas with it. 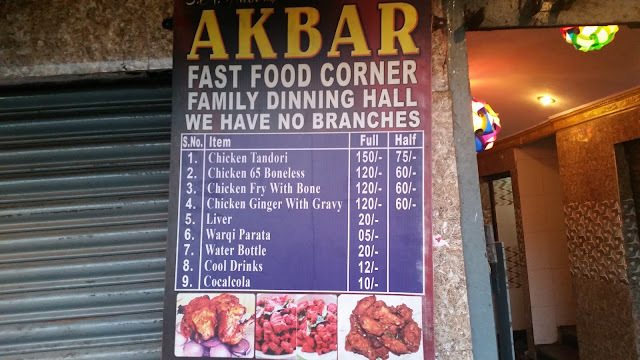 The sad part is that the kababs often get over in early evenings due to the rush. If you are not a beef eater Hotel Shehran next door serves the mutton version of seekh kababs. The places above are just the tip of the iceberg. 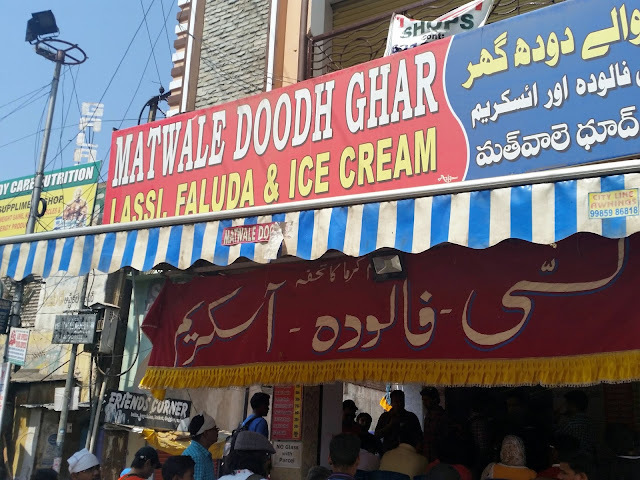 Apart from these more popular places, the bylanes of Charminar have many more places to satiate our love for street food. The places may be nondescript, but some of them dish out the best street food in the city. So, walk leisurely, be on a discovery mode and try out street food that look good to you.